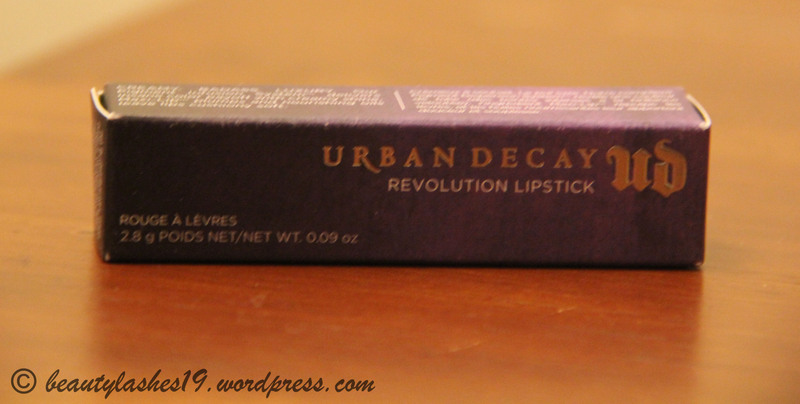 I know I am kinda late in doing a review on this product but I have (and will be until early 2014) just been super busy writing/editing my dissertation.. 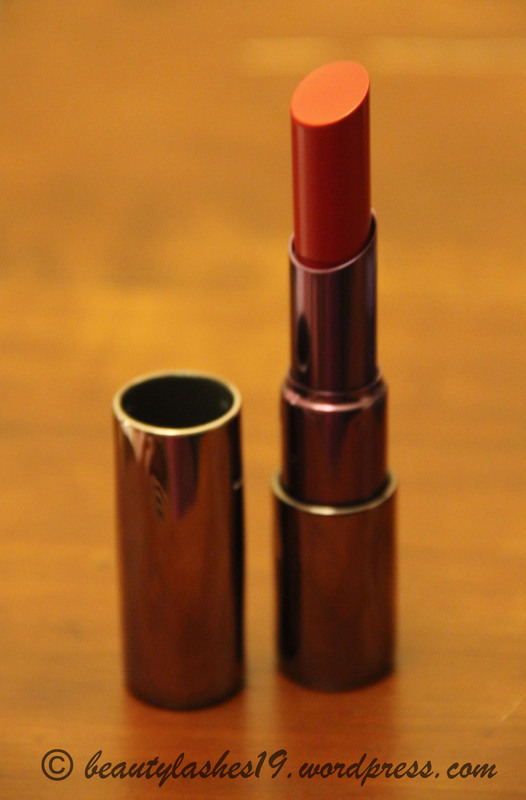 I have had the lipstick for more than 2 months but haven’t had the time to review it!! 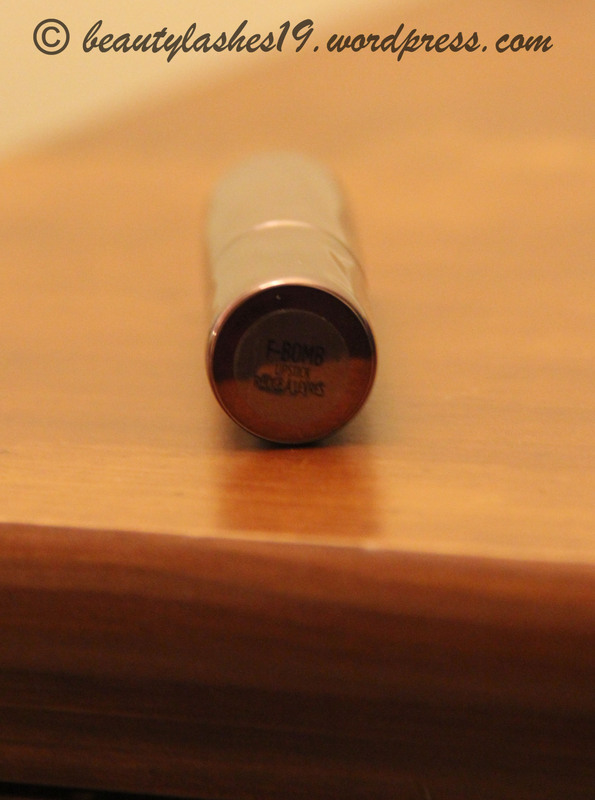 Anyway, lets get to the product review..
What blew me first off was the packaging.. 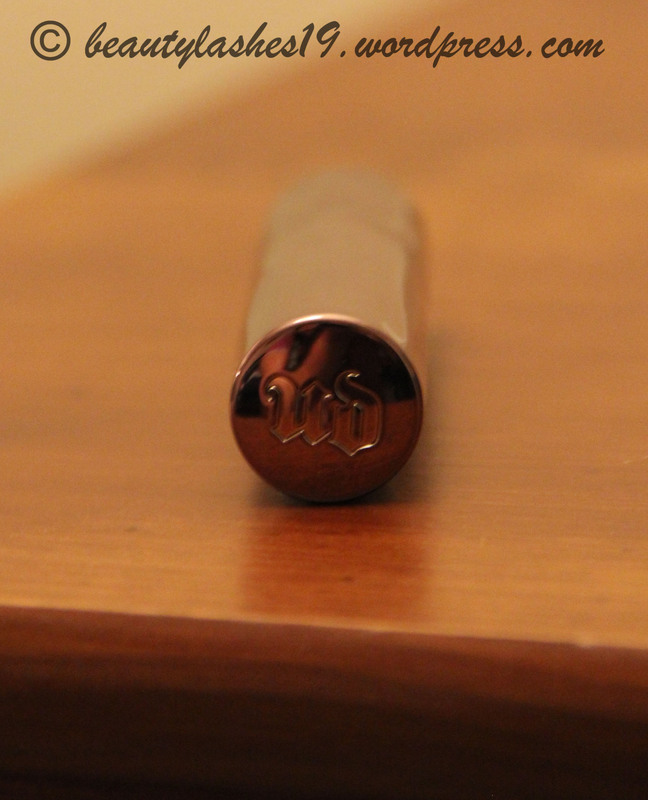 The lipstick bullet is almost a pink-purple gold metal case with UD logo embossed on it.. Feels and looks quite luxurious.. 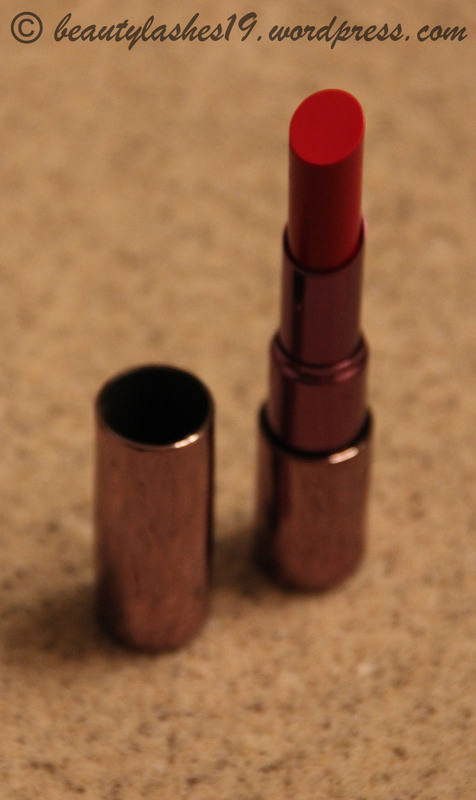 The color of the lipstick is displayed at the bottom of the bullet.. 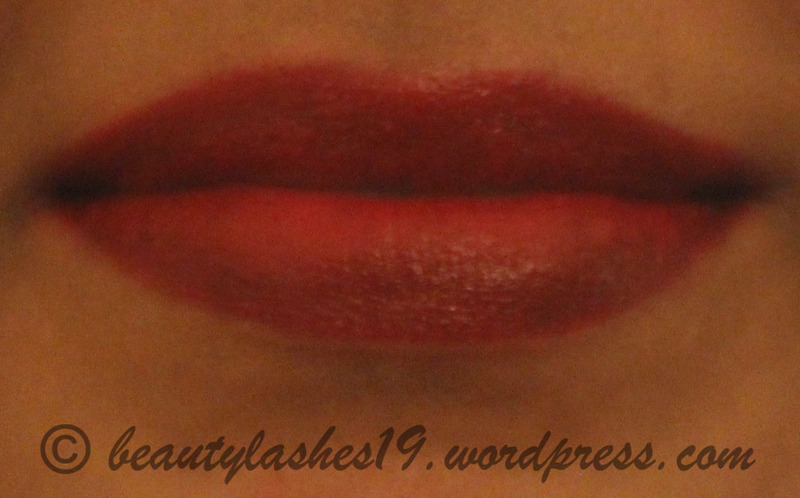 Here are some images of the lipstick applied lightly with a lip brush.. 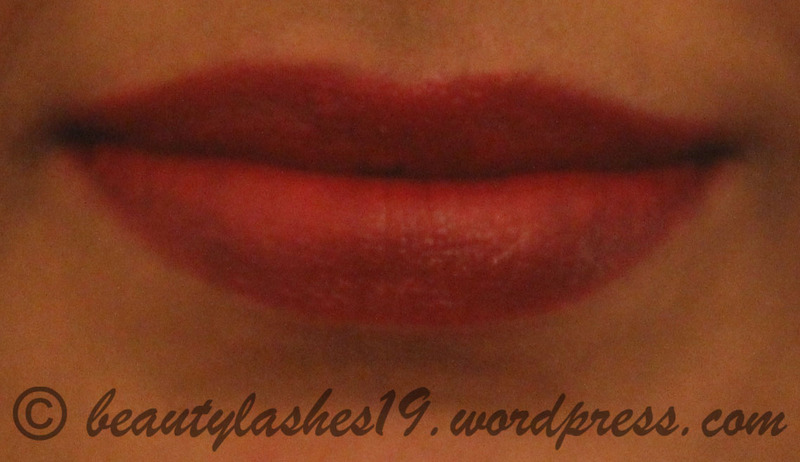 The color is way more buildable that what appears in these pics if you enjoy a full on red lip look.. 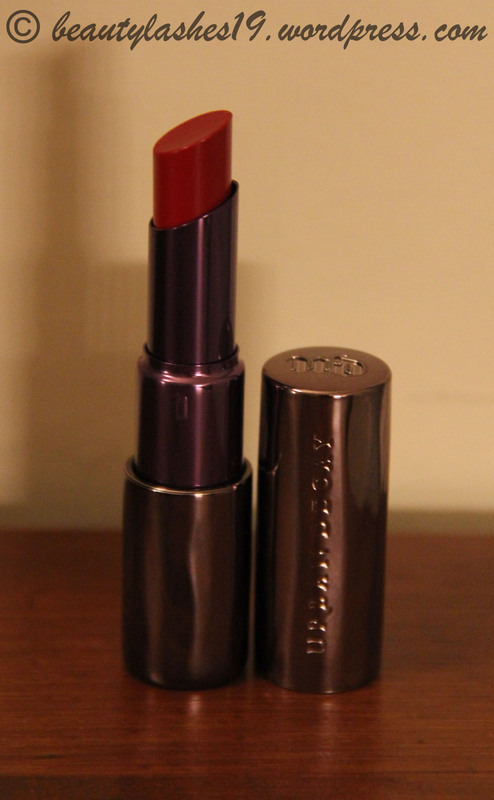 Sorry I haven’t tried it.. Didn’t want to get more than one red lipstick in the same formula.. But I am sure many have already reviewed it..